The first century of historical quizzes is finally at an end! 1. 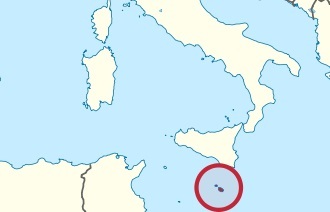 The Normans occupied these islands in 1091 and incorporated them into the Kingdom of Sicily. Today, though, they are an independent country. What place is this? 2. In the 1090s, a new type of entertainer became popular in southern France. These "composers and performers of Old Occitan lyric poetry" sang songs "with themes of chivalry and courtly love. Most were metaphysical, intellectual, and formulaic. Many were humorous or vulgar satires." What were these singer-songwriters called? 3. After a decade of peace, King Malcolm III led an attack on England in 1091. Two years later, he came raiding again, but was killed in November 1093 at the Battle of Alnwick. What country was Malcolm king of? 4. After Pope Urban II gave a rip-roaring sermon at the 1095 Council of Clermont, his audience is said to have responded with cries of "Deus vult!" This was the beginning of what major enterprise? 5. By 1096, the oldest university in the English-speaking world was in operation northwest of London. What's it called? 6. Just to check in: during this decade, it was still split between the Tanguts in the northwest, the Khitans in the northeast, and the Song in the south. What place is this, again? 7. Ibrahim, King of the Ghaznavids, died in 1098 after a forty-one year reign. He had restored a smaller version of the Ghaznavid Empire following the mid-century loss of its western half to the expanding Seljuks. Each year, it is said, Ibrahim would copy out the Koran by hand and send the manuscript to Mecca. About where was the Ghaznavid Empire, again? 8. The decade of the 1090s, although troubled by drought, may have been about the high point of stability and prosperity for the Anasazi people, and particularly for their city at Chaco Canyon. Where is Chaco Canyon? Ruins of a "great house" at Chaco Canyon. 9. It was captured by the Seljuks from the Egypt-based Fatamids in 1077, but the Fatamids regained control in 1097 or 1098. In 1099, it was put to siege by a "Latin" army; after five weeks, the city was sacked and many thousands of its inhabitants put to the sword. What city was it that was having such a rough time in the late eleventh century? 10. King Magnus Barefoot brought a naval force into the Irish Sea in 1097, claimed the Orkney Islands, pillaged the Hebrides, and captured the Isle of Man. And then, one of history's great quirks: arriving in North Wales literally as a Norman army was celebrating their final victory over the Welsh, his force more or less accidentally killed the Norman leader in a pointless, unplanned skirmish. The Normans were forced to retreat, the Welsh regained partial control over North Wales for many decades to come, and the Welsh island of Anglesey became, at least in theory, part of Magnus Barefoot's scattered realm. Magnus Barefoot was not the first king of his country to cause headaches by leading troops into Great Britain, but the world was changing, and he would be pretty much the last. Of what country was Magnus Barefoot the king? No answers for last time this week -- we'll catch up next Monday. 1. This has to be Malta...I was going to say Rhodes, but that's not a place any more, right? 2. Welp, it's not Skalds...the word will come to me in a sec...Troubadour! Taliesen came to mind first, he always leads the way. 3. Malcolm was a bonny Scot. 5. The future home of the Leaflocker, Oxford! 6. Hopefully this is still China. If there are Song elsewhere, I'm stuffed. 7. I dunno, man. Let's go...Iran. 8. Nicuagua? I got nothing. 10. Probably a Norwegian, they were still big in them parts, right? Heck, anywhere in Scandinavia, but let's stay with Norway. That wasn't a disaster...checking my answers against Christine, we're either both pretty wrong or this is going to be a good week. Would you believe I was a history major in college? It's all been erased with beer over the years, but man, I have had some historic times . . .
2. Oh I know, I know! Um...hang on, they were called...um...oh yea, troubadors. 3. Geez I don't know. Malcolm, eh? Is that Scottish? 5. Is Oxford too easy? Could it be that other one, what is it, Cambridge? But Oxford is west and somewhat north of London, isn't it? Let's say Oxford. 6. Song? Sounds like China. 7. Ghaznavid? ...gesundheit? Okay, well, the Seljuks were in Anatolia, right? So...east of that? You want "about where"? Can I say "the Middle East"? No? How about Mesopotamia-ish? 8. Chaco Canyon is in New Mexico, I believe. 9. Could it be Jerusalem? 10. I was going to say Ireland, but then it sounded weird for an Irish king to "bring" a fleet to the Irish Sea. Captured the Isle of Man, eh? So...Norway? 7. Still don't know. Iran? Susan -- I'm trying again -- yesterday my answers didn't register.